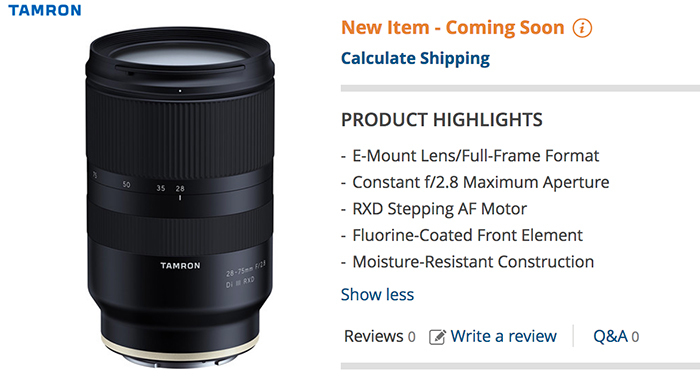 As reported by Nokishita the price of the new Tamron 28-75mm FE lens will be 94,500 YEN. UPDATE: We just got the info the lens will be priced at $799 in the USA (listed here at BH). next post: (SR5) Sony registered a new camera code. Ready to launch the A7sIII or A6700?